The South Island of New Zealand is one of the world’s unspoilt wonders and Christchurch is a great starting point for your South Island adventure. On arrival at Christchurch International Airport, head across to the friendly GO Rentals team and pick up your lovely new hire car. With only 12 days to get from here to Auckland in the North Island, you’re going to have to get your skates on so let’s GO! Although you’ve just picked up your new GO Rentals car, don’t be in too big a hurry to leave Christchurch as there is plenty to explore. Take the time on your first day to explore the ‘Garden City’, the largest city in the South Island where you can relax your way into your latest adventure. An early start will take you the short drive north towards Hanmer Springs where a relaxing day awaits you. Surrounded by the beautiful Southern Alps with crisp alpine air, relax and unwind in the award-winning thermal pools or simply enjoy the peace and tranquillity of Hanmer Village and surrounding areas. Although you have only just started on your epic kiwi adventure, we know some of you love a bit of retail therapy. With a fantastic range of boutique outlets including the quirky ‘Up the Garden Path’ and ‘Wink’, we’re sure you’ll find the shopping as relaxing as a trip to the thermal pools. 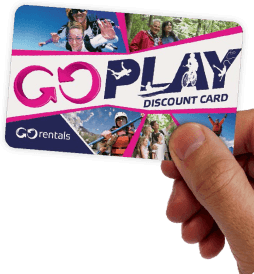 After a day spent relaxing in Hanmer, you’ll be ready to hit the road again and after a day off yesterday, your GO Rentals car will be raring to GO! Heading out of Hanmer Springs, take the road north heading towards Blenheim. A great stop off on the way is Kaikoura which is a whale watchers delight. Not only that, this is a great opportunity for you to take a dip and swim with the dolphins at the right time of the year – this must be on a few wish lists so let’s get it ticked off! place to stock up for the road trip ahead. For those of a less active disposition, the Sounds are famous for the greenshell mussels which are found in abundance so why not treat yourself to a fantastic late lunch or early dinner. From here it is a short hop to Picton where you will catch the ferry and leave the South Island behind. Tomorrow it’s time to hit New Zealand’s capital city! After arriving on the ferry, park your car and head for a walk around the waterfront where you’ll find the fascinating Museum of Wellington City and Sea in the old Harbour Board Bond Store, complete with its opulent 1920s board room and a complete teak cabin from an 1879 steamship. It’s not far from New Zealand’s national museum, Te Papa Tongarewa – a futuristic multi-storeyed complex that forms one of the largest new museums in the world, with numerous interactive displays. Grab a coffee (Wellington claims to have the best coffee in New Zealand) and visit the cool one-of-akind stores along Manners Mall and Cuba Street. When you’re on that street, notice the cool Bucket Fountain that doesn’t actually work the way it’s supposed to (take a close look at it and you’ll see the water doesn’t actually obey the easy bucket system and sometimes misses the buckets altogether). You can take the 45-minute guided tour through the workshop, which provides unique behind-thescenes glimpses into the work of this award-winning company. After a day exploring our capital city, it’s time to give your new best friend a bit of a leg stretch and the drive out of Wellington and up to the Tongariro Crossing is a great place to start. Heading up SH1, your route will take you up the lower west coast of the North Island. The first stop of the day will be in the small farming town of Palmerston North. As you drive up the west coast, you may want to pit stop at any one of the lovely beaches on the way including Foxton, Otaki and Waikanae which are all easily accessible from SH1. Although it’s the biggest town between Wellington and Taupo, Palmerston is pretty quiet and this will give you a true insight into Kiwi life. With a plethora of cafes to pick from, this is a great place for morning elevenses – go on, treat yourself to one of those amazing looking muffins! There’s not much to say about Bulls but if quirky is what you want on this tour then quirky is what you will get. The only thing of note in this town is the clever (or not!) use of the town’s name by local businesses – unforget-a-bull and hospit-a-bull are two of our personal favourites – let us know yours! It’s a day out of your beloved hire car and a chance to stretch your own legs. The Tongariro Crossing is a must do on many people’s lists when they head to NZ so make the most of your day. The weather can change quickly out on the walk so make sure you pack for all seasons from the sun cream to the warm base layers – even if it is a lovely sunny day when you set out, things can soon change out on the track. If you’re a Lord of the Rings fan (we won’t hold it against you if you’re not – promise!) then this is the place for you. Home to the sinister Mordor, you will soon start to recognise landscapes from the trilogy and a look over to Mt Ngauruhoe should bring flashbacks of the infamous Mount Doom. If you have the fitness and the equipment, climbing to the summit of Mount Doom is a possible add on to your day but be aware that this is a steep climb and should only be carried out by experienced climbers. After a day off the driving, we are going to ease you back in with a relatively short trip up to Taupo. Heading out from the Tongariro your day starts with a scenic drive around the shores of NZ’s largest lake to the town that shares the same name – Taupo. For you budding Tigers out there, Lake Taupo throws up a challenge – can you land your ball on a green floating in the middle of the lake? If the answer is yes, and more importantly, if you can get a hole in one, your trip to Lake Taupo just got a whole bunch better as there are some big prizes up for grabs. Even if you don’t play golf, it’s pretty satisfying just whacking balls into the lake! Crafts Institute located inside as well. Te Puia also includes a live kiwi bird enclosure (a rare opportunity to see the New Zealand icon) and the famous Pohutu Geyser. Not exactly the most obvious choice for a recommended touristic attraction but we’re talking about unique and quaint experiences that you’ll only get in New Zealand, right? So here’s one: a chainsaw collection at a Timber Museum in the small town of Putaruru, about an hour south of Hamilton. You don’t find that in many other places. Mandatory waterfall photo taken, it’s time to keep heading south. Our next stop is Matamata. If you’re a Lord of the Rings fan, this is the place for you. If you’re not a Lord of the Rings fan (we don’t judge), you’ll still enjoy the stop in Matamata. The town includes the set of Hobbiton from Peter Jackson’s movies and a guided tour of the movie set (starting from the Information Centre right on the main street) is a must-do for any visitor. You’ll be able to visit 44 unique hobbit holes (just like in the movies), including Bag End (Bilbo Baggins’ house), as you make your way through the Shire, passing iconic locations such as the Green Dragon Pub, the double arched bridge and the Party Tree. Photo After that, it’s time to continue north. Our next stop: Paeroa. Paeroa will be your next stop after the walk. There isn’t much to this small town but it’s known for being the birthplace of L&P, the iconic kiwi drink that is “world famous in New Zealand”. This soft drink was originally produced using lemon and mineral water from Paeroa (hence L&P). The giant L&P bottle landmark is a mandatory photo stop for any self-respecting tourist so make sure you strike a pose in front of it too. As you head towards the peninsula, make sure you stop by the impressive Martha’s Mine in Waihi. You can take a goldmine tour and find out more about this important part of New Zealand history. Take some time to learn a bit more about the gold mining history, as there won’t be many other opportunities to do so during the trip. From here you head to your final destination – we recommend a stopover in Whitianga which is just short of 2 hours from Waihi. There is lots to do on the Coromandel and depending on where you decide to stay (we recommend Whitianga or Hahei) there are a variety of activities to choose from. The Coromandel is one of the best place in the North Island to head out deep sea fishing with a number of charter companies running trips daily throughout the summer months. Head out on to the water and catch yourself some dinner – red snapper are often in abundance and if you’re lucky you may snag yourself a king fish or even a marlin! It’s a really relaxing way to spend a day out on the water and better still, if you bring home a catch, the local fish and chip shops will batter it for you for about 50 cents! Winner. New Chums beach in Wainuiototo Bay is something truly special. This little hidden gem is considered by many one of the most beautiful beaches in the world. It’s small and it requires a short hike to get to but what you will find is an example of the really pristine and unspoiled natural wonders of New Zealand. Take the time to enjoy your morning on the Coromandel Peninsula before you head off to New Zealand’s biggest city. Make the most of the peace and quiet and the tranquil walks as things are going to get busy when you arrive in Auckland. We know you’ll be excited and itching to get to Auckland for some retail therapy and top notch food, however half an hour out of Auckland is a must for all travellers heading north – it’s an ice cream pit stop. The Pokeno store is renowned for the biggest ice creams in the country. Pokeno Takeaways, on Great South Road, will sell you a 15-scoop ice cream (yes, you read that right). Treat yourself. Hopefully this brings to an end an awesome 12 day trip from South to North. If you’re looking for more things to do in Auckland, check out out top 5 things to do in the City of Sails.